At the end of the summer, ballet dancers begin the preparations for the new season. It's time to address some extra pounds and think about the diet. The diets have become an integral part of our lives: they are generally good for the health, have a wide range of products associated with them, and almost always have an exotic name. Millions of people use them to control nutrition to maintain the health of the body or to adjust the weight. Ballet dancers like them for both reasons. Some dancers use instructions developed by the experts, some try to be creative and come up with their own menu. Kirsten Kemp doesn’t deny herself in anything. Cooking is her hobby, and he dedicates herself to it. “I like to eat four times a day. I stuff my stomach to the bone and do not think about taking food for hours. ” The ballerina’s day begins with coffee with coconut sugar and stevia, breakfast consists of yogurt with muesli, honey, and reed molasses as an additional source of energy. She has lunch in between the classes. Here Kirsten chooses a salad of pickles, crushed avocados, brown rice, black and red beans – a source of protein. All this is seasoned with sour cream and grated cheese. For lunch, mulberry and goji berries. “These products are expensive, to be honest, and are not required for the diet,” the ballerina laughs, “but I love them so much!” Spaghetti bolognese for dinner is prepared with a secret ingredient – broccoli. If there is a feeling of hunger, snacks with nuts, raisins, oatmeal, and ginger also help. What an abundance of dishes prepared by her. Kirsten does not count any calories or grams when it comes to food. But you can’t say the same about Theresa Farrell. The order of the day and the diet of the American Contemporary Ballet artist in Los Angeles are planned literally by the minute. Two ballet classes, two hours of running, no more than two thousand calories per day. The first mandatory principle of Theresa’s diet is the use of the main food groups. The second is keeping a record of the calories that the body received and which subsequently burned. Extra physical activity for dancers is common. “I attend two classes a day, where I concentrate on the moves. To maintain the form I go to the cardio zone, to Pilates, yoga, swimming” says the ballet dancer of the Kremlin Ballet, Joy Womack. 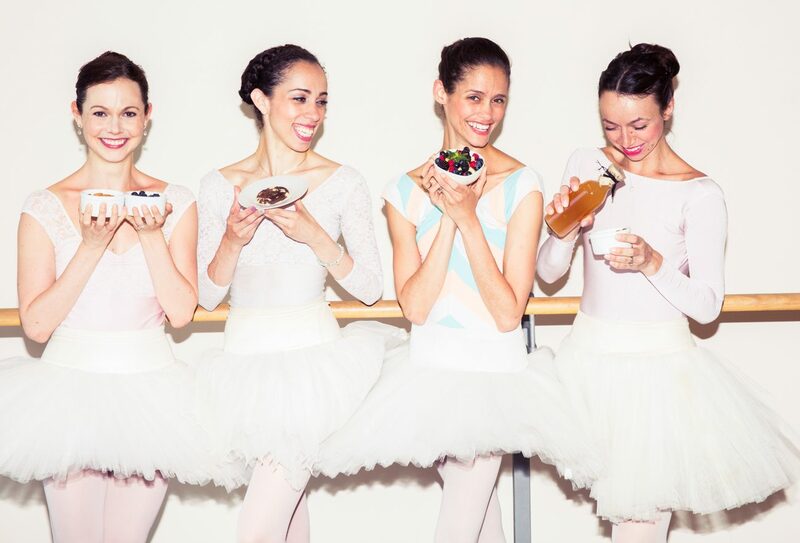 Young ballet dancers follow diets as well. Alyona Grivnina, a student of the Bolshoi Ballet Academy, eats often, but little by little, prefers flour and fatty organic and low-calorie food. The most terrible thing in the matter of overweight, says Alyona, are drugs for weight loss, which cause terrible harm to the body. Scarier than an eating a bun. The question of the ideal physical condition for dancers is one of the most important in their career. They record the results, in many ways restrict themselves, they burden the body with serious work. Each has his own methods, but the result is the same. Slim and fit, the artists, again and again, come on the stage and are always pleasant to look at.